You just had to say that , didn't you ? 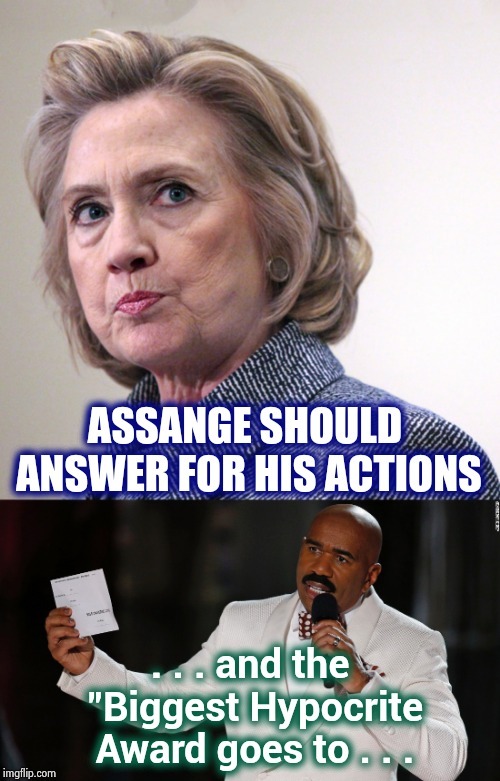 ASSANGE SHOULD ANSWER FOR HIS ACTIONS; . . . and the "Biggest Hypocrite Award goes to . . .